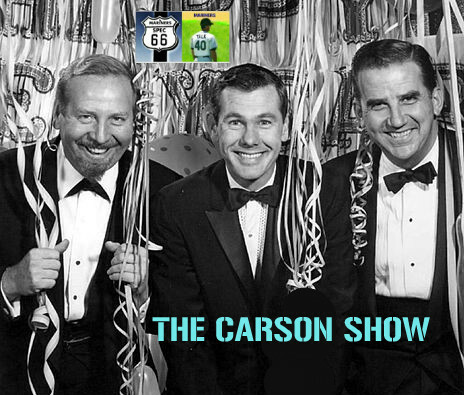 Cheesy MarinersTalk.com catchphrase: The Carson Show! More explanation of the stats here. If you find this too small, at least in Firefox you can right-click and click "View Image" to enlarge (not sure about other browsers). Essentially, the more color the better. Texas State is in San Marcos, and is the alma mater of President Lyndon Johnson. The best-known baseball alum is former Blue Jay bullpenner Tom Henke, who was the closer for Toronto's 1992 World Series champion team. The campus was used as the setting for fictional Texas Methodist University in the television show Friday Night Lights. My favorite schtick right now is to refer to the "Big Three" and then say "by which I mean Capps, Pryor and Smith." Oh, it never gets old. But whatever ... there is a bullpen Big Three and Smith is the third member. And we can even pinpoint the date. On June 13, 2012, Smith's ERA was 5.72 at the pitching nightmare of High Desert. But then he figured something out and ... no earned runs until July 14 and then ... no earned runs the entire rest of the season! Check out those June, July and August splits. The guy was unhittable in the California League. Trust us, that just doesn't happen unless you've got stuff that is completely fooling guys. And you can see it in the "KS%" (swinging strike percentage). Although I've found those kind of splits are not alway reliable in the minor league parks, it gives you an idea. By the way, his "Three Numbers" for June through the end of the year: 160-165-225. Smith throws hard, but it is his supposedly "unhittable slider" that makes the difference, plus his odd arm angle coming from a 6-6 guy. It doesn't really leverage his height, but it seems to create deception RH hitters have trouble dealing with (33% of them struck out). The Carson Show won't be in The Show with Capps and Pryor right away, but if he takes up where he left off, he can easily be on the same kind of fast track. Johnny Carson hosted the Tonight Show from 1962 to 1992, when he turned it over to Jay Leno. His theme song was thus perhaps one of the longest-running TV themes in history. It was not written for the show, but was adapted from a song called "Toot Sweet (It's Really Love)" by pop star Paul Anka. Question Time: Howzabout Dario Pizzano? Question Time: What do we make of Jabari Blash? Sooooooooooo proud of my nephew!!! Looking good!!!! Glad to hear it. Congrats!